This month we had a hugely rewarding experience, on Thursday 7th March 2013 in the halls of Trinity College in Dublin, we were happy enough to be shortlisted as a finalist in the SFA (Small Firms Association) Awards in the Outstanding Small Business category. To get dressed up and spend an evening with people who share a like-minded approach of great service, superb products and a hunger to succeed was good enough for us. You can imagine our delight when our name was called and we were presented with Highly Commended in the Outstanding Small Business category. 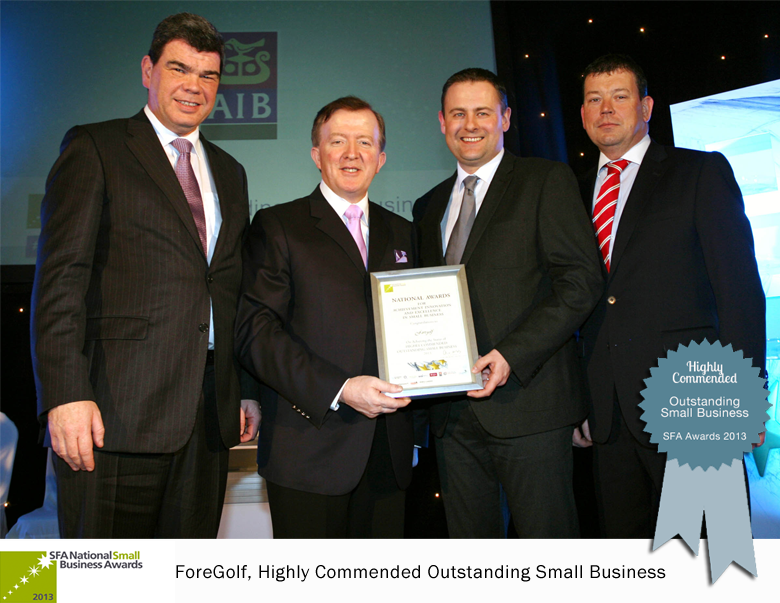 Back in 2010, winning the World Clubmaker of the Year was a great milestone for us and now to be singled out as an Outstanding Small Business shows we are not afraid to keep punching above our weight as a small, independent family run business. A massive thanks to every one of our customers and especially for all the “Good Luck” messages on Twitter and Facebook, your support means a lot to us and we appreciate everyone who took the time to get in touch. 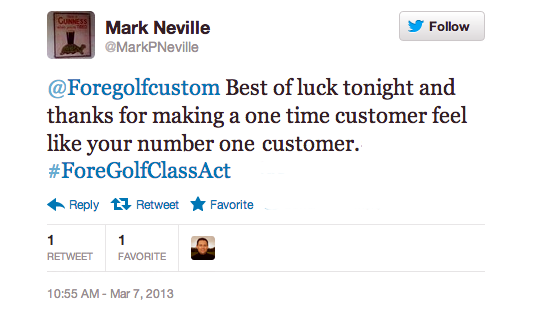 A tweet from @MarkPNeville summed up what we try and do everyday.